ROMP Rescue specializes in Italian Greyhound rescue and adoption but there are some cuties we just cannot leave behind so today we are also a Chicago Yorkie Puppy Rescue! 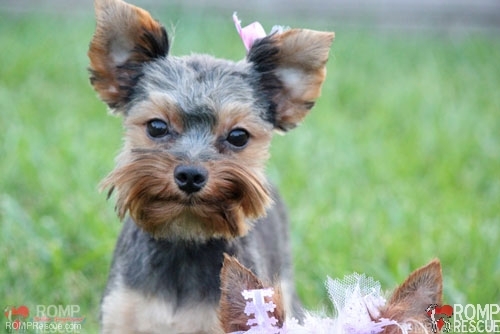 Flora is a 9 month old female Yorkie now residing in Chicago and available for adoption. She was relinquished by a backyard breeder because she was ‘too old’ and they did not need her for breeding. Despite arriving desheviled and matted, she had a full day at the doggy spa and is now looking for her forever home! 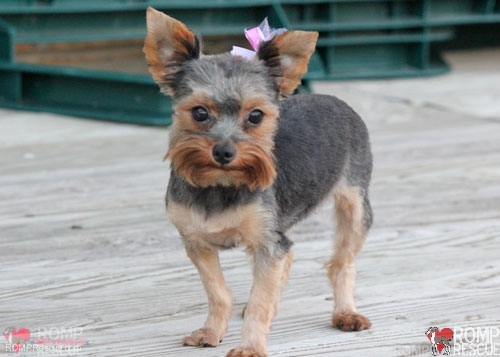 Weighing in at just 4lbs, she is not suited for a family with children. Flora is up to date on shots, spayed, and gets along with other dogs her size as well as cats. Between her and her other siblings, she is the one that is a bit more independent and does what she wants rather than what the group is doing. A very cute and sweet girl. Because she lived in mill like conditions all her life, she needs a family that can work on potty training with her, that can take time to show her that humans are loving and in return she will be your snuggle bug forever! She was named after the Sleeping Beauty good fairies and her personality suites ‘Flora’ because she was the first of the group to go galloping around in the grass! She loves the great outdoors! 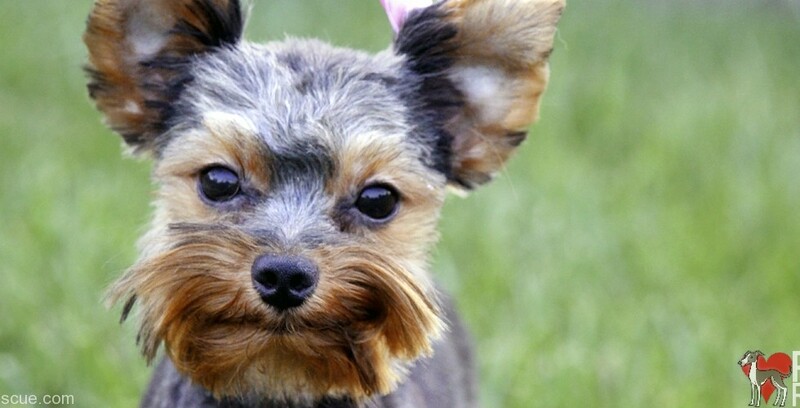 Are you in the Chicago area and want a place to exercise and socialize your pup? Join our Doggy Play Date Meetup group and our Facebook Group! 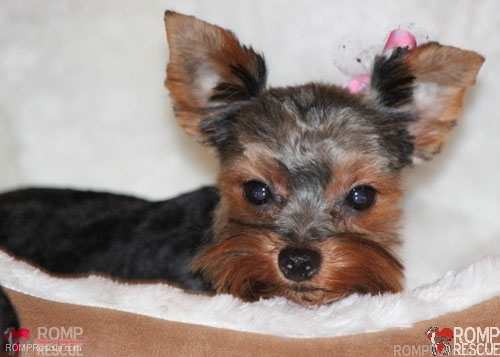 This entry was posted in ALL and tagged adopt, adopt a yorkie, adoptable, adoption, adorable, available, black, brown, chicago, Chicago Yorkie Puppy, cute, female, puppies, puppy, rescue, rescued, small, tea cup, teacup, tiny, yorkie, Yorkie adoption, yorkie puppy for adoption, Yorkie puppy illinois. Bookmark the permalink. I loved Flora. I would like to get more information. Where is she located. I live in Evanston Illinois. She found her forever family.